The team lined up with Alan Vezza in the troublesome right back position, with Nicky Little playing in the midfield preserving the Shelvey – Higgins partnership upfront. The surprise inclusion was that of youngster Jack McClair coming in for Del Hepburn on the left side of midfield. The first ten minutes of the match were horrendous for the Bankies defence. 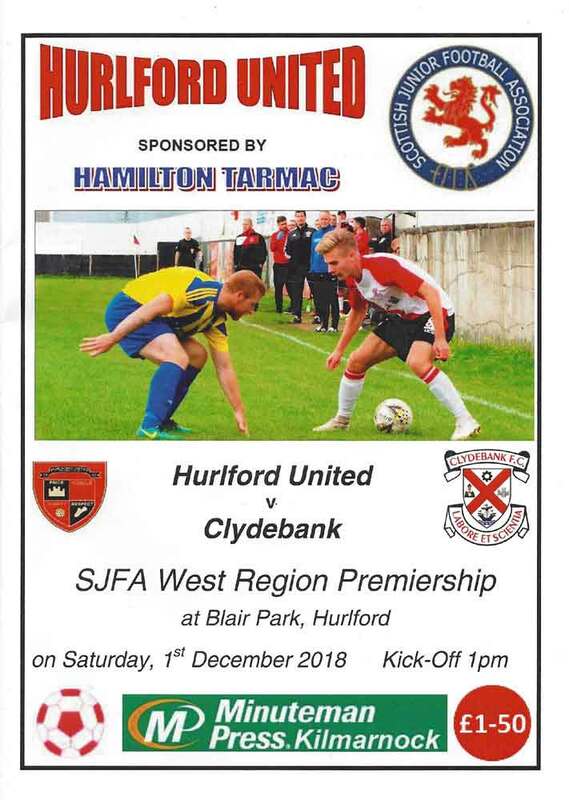 There was nothing to choose between the sides in general play, but Hurlford had two goalscoring chances and took them both. The first goal came a cross ball on the right hand side after seven minutes. Set pieces were to cause the Bankies all sorts of bother all afternoon particularly for Jamie Darroch who I thought struggled more than I have ever seen previously from him. On this occasion the Bankies failed to clear the ball properly and it bounced up rather nicely for Reilly who hooked it high into the net from around eight yards. The second goal just three minutes also came from the right flank. This time the cross was helped across the six yard box which deceived everyone except Whittaker at the back post who nodded in from only a few yards out. The Bankies responded well to this and slowly but surely pushed the Hurlford defence back without finding the killer pass in the final third. That changed in the 23rd minute when Stevie Higgins sliced open the home defence with a perfect pass for Shelvey who was just too quick and superbly slotted the ball beyond the despairing dive of Brown. It seemed like the game was back on, but with 32 minutes it was 3-1 with another badly defended goal. A free kick from the right was flighted to the back post. The header was won all too easily as the ball came back across the goal and there was Reilly to knock it home from close range. The Bankies got to the break without further damage, and it was no surprise that Jack McClair didn’t emerge from the dressing room for the second half with Hepburn taking his place. The opening exchanges of the second period may have gone a long way to deciding whether a come back could be achieved. Firstly, Stevie Higgins was controversially ruled offside after sticking the ball in the net. It was a very tight decision and on another day he may have been allowed to play on. Then, a superb crossfield ball by Nicky Little found Del Hepburn. The Bankies winger skinned the Hurlford full back and it looked like a certain goal, but he somehow fluffed his lines at the vital moment and sent the ball wide. Had one of these chances cut the deficit then the outcome could have been different, but Hurlford were to show the Bankies how to put the ball in the net yet again. With 63 minutes gone, a Hurlford player cut in from the left and sent in a rasping shot. It was straight at Waters and he will disappointed that he was unable to hold on to the ball, as it dropped kindly for Caddis who reacted quickly to the fumble and blasted it into the net. It looked forlorn now, but the Bankies kept plugging away and did manage to pull one back after 69 minutes from Declan Fitzpatrick. The ball played into the box and Hurlford failed to clear their lines properly. The big defender picked up the ball and stroked it home from 12 yards. Within two minutes the Bankies contrived to give away another goal and kill the game once and for all. It’s hard to know what Waters was thinking about when the ball was played to his back post. He seemed to be caught out with the trajectory of the ball and was struggling to reach it. However, instead of punching it clear he kind of dropped the ball in front of himself. Now off balance he was unable to get anywhere near it allowing Reilly the easiest of open goals to claim his hat trick. The match pretty much fizzled out after this as it reached its inevitable conclusion. 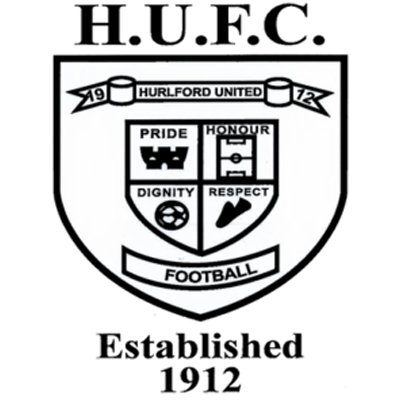 Hurlford are a good side, there’s no doubt about it. Had the Bankies went with a different line up, would they have won? Who knows, maybe not. It would still have been a difficult proposition. There are three areas that troubled me about today’s team selection. Firstly, was the inclusion of Jack McClair. This came out of nowhere. He has not featured much, and his last appearance saw him subbed at half time as he was today. It’s not his fault. He looks a decent player, but he is young and has a lot to learn. It was a mistake to throw him at the deep end in such a big game. He looked lost in the match and there were definitely better options. Then there is the Nicky Little conundrum. I actually can’t believe that this is coming up yet again. Budgie McGhie tried playing him in a midfield role. McAnespie tried it before Little went to Pollok. Pollok even tried it. For the avoidance of doubt, IT. DOES. NOT. WORK. Nicky Little needs to play as a supporting striker. Between the lines as McAnespie expressly said was the way he wanted to play. The team is so much more dynamic when he is in his best position. He is the guy you build your team around. This was done to preserve the front pairing of Shelvey and Higgins. I can understand why you would want to keep that front two as they have scored goals recently and it would be unfair to drop Higgins. But in the grand scheme of things when Little supported Shelvey we played better and scored more goals. Little is wasted in the midfield. His contribution today was minimal. We have seen time and time again the damage he does when he is in the more advanced role. Finally, playing Alan Vezza at right back. Options are a bit limited here so I can forgive this one, but we certainly missed Vezza’a aggression in the middle of the park. He struggles with pacy wide players and it is not a long term solution to this position. It’s been a while since I had a bit of a moan, but the sooner we get back to playing our best players in their best positions the better it will be. On the positive side, I though Chris Black played very well when he came on, and Jordan Shelvey was great as well.